All That Can Happen: Guadalupe Rosales by Marco Kane Braunschweiler Archiving Latinx culture in Southern California. Guadalupe Rosales wrote in an email to me that she “creates counter-narratives, telling the stories of communities often underrepresented in official records and popular media by building archives of vernacular photographs and ephemera connected to Latino/a culture in Southern California.” These counter-narratives have taken form as two projects: Veteranas & Rucas (2015–ongoing) and Map Pointz (2016–ongoing). Both are archives, first viewable on Instagram. My interest in these projects is from the perspective of social documentary photography. Her work expounds on that history, as these archives carefully and elegantly create a portrait of everyday life, music, and partying in Southern California. On first encountering Guadalupe Rosales’s Untitled (all works 2018), a wall-based sculpture of a pager dangling from a string of pastel plastic raver beads, I felt the strange urge to look up the artist’s birth year. Here’s what I found: Rosales was born in 1980, two years before I was. While an artist’s age is often of trivial concern, it’s important here: As rough contemporaries, we have both seen telecommunications technologies shape and reshape our lived worlds, especially the experience of being a teenager in the 1990s. When we were in elementary school—she in Los Angeles, I in Austin—the only people who regularly used pagers seemed to be doctors, or maybe principals and drug dealers. But by middle school and high school, pagers were de rigueur (I remember arguing with my parents for one—they prevailed). Untitled struck me, then, as an earnest object. No post-internet irony here. Rosales takes a different, more rigorous tack with this installation, investing in the lush lifeways associated with objects such as pagers, party flyers, and glossy photographs. In short, she took me back—as much as she could take a white Jewish kid from Texas back to the Latinx communities of Los Angeles. Latino USA sits down with Rosales and her collaborator, Eddie Ruvalcaba, who photographed many of the parties during his teens. The pair give a glimpse of what those nights looked like and what happened when the party ended. Los Angeles is full of amazing stories, but all too often the positive stories from our communities of color get scrubbed from the cultural memory. Back in the late ’80s, the mainstream narrative was that gangs had taken over the working-class neighborhoods of East L.A. following white flight, a narrative that fed into larger issues of racial tension and violence in Los Angeles. Within those Chicano communities, however, there was also a thriving backyard DJ and party scene, which is now thankfully being archived and collected at Map Pointz Project by local artist Guadalupe Rosales. 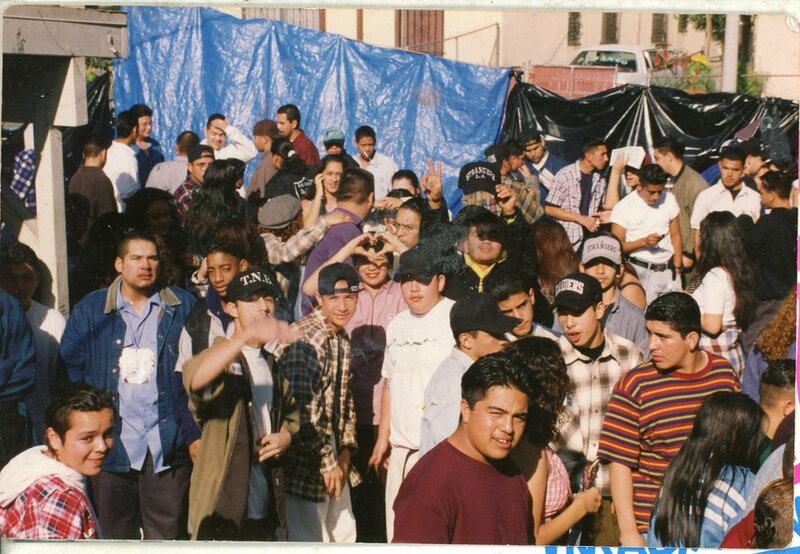 Veteranas and Rucas is an Instagram account dedicated to the SoCal ’90s party crew scene, which Guadalupe Rosales—New York-based, Los Angeles-raised—fanatically documents as part of her Map Pointz archive. 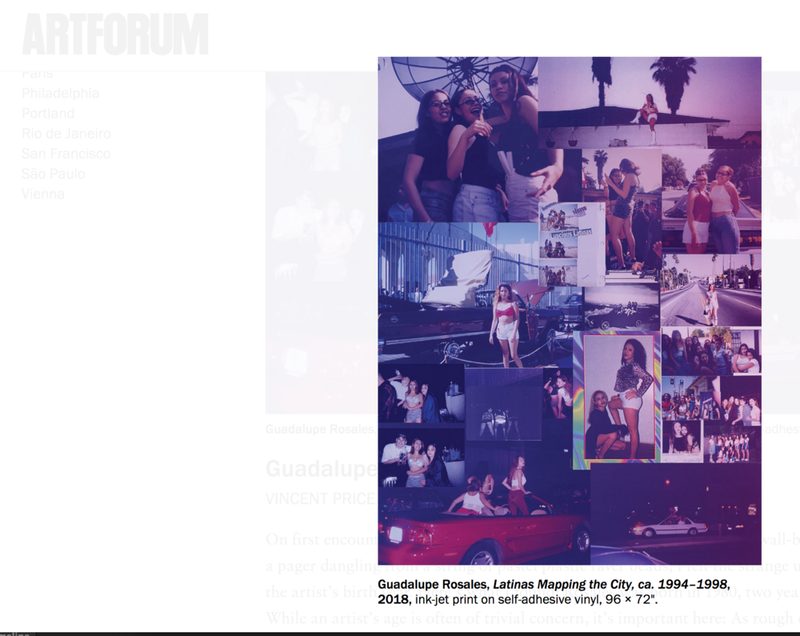 "Guadalupe Rosales uses nostalgia as the creative engine driving the Instagram feed she manages, Veteranas and Rucas. It's a digital archive on Instagram that "flashbacks" to photos from the Chicano underground of the 1990s, with a reach beyond Southern California. Sacramento, San Diego and Orange County all had elements of a residential underground during this period too. "I brought handwritten letters from teenage boyfriends, a shoebox full of wallet size photos that friends and relatives had taken at the mall, and photos I had taken at backyard parties," says Rosales about the collection." "There has not been much actual documentation of the real young women who helped power Latino gang life in L.A. But they do emerge in the images of "Veteranas & Rucas," a crowd-sourced Instagram feed that documents the era via old photos, video and music. We talk to the curator, visual artist Guadalupe Rosales, herself a native of East L.A."